1. 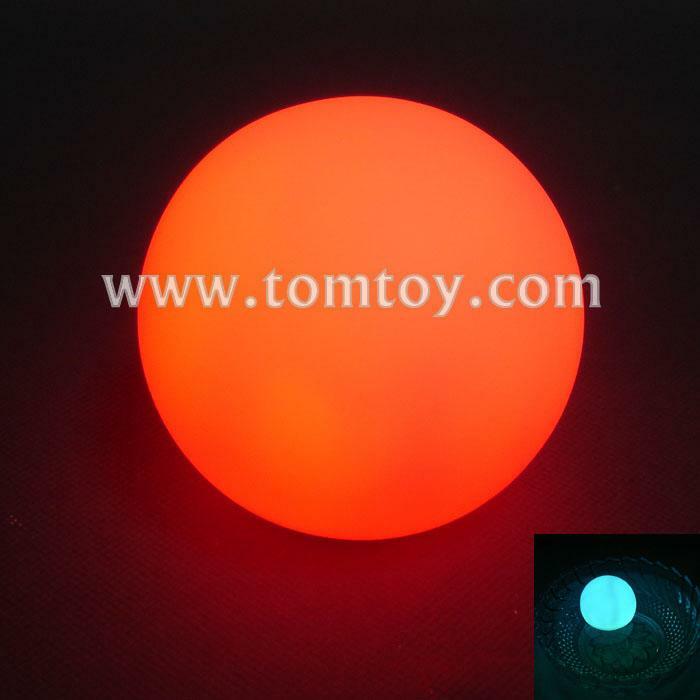 Waterproof light up ball with bright RGB lights, light up all the night. Perfect for Garden, Beach or Pool Decoration. 4. Approx: 8cm in diameter ball. 5. Light up Ball can float on the water. With removable spick stick, which can be fixed into the lawn. 6. Small plastic cap to protect the switch in the transportation.